Whether it’s the stress of the holidays, or the fact that you have to deal with the entirety of family for a long stretch of time, many a man has needed a little help to get through the holiday season. While I don’t have to play Santa yet (my nine month old looks at our Christmas tree and is probably thinking “What the hell is that thing?”) and don’t have to worry about getting the last little Suzy Talks and Poops A Lot doll in a mad rush at the store, making sure that everyone has a nice Christmas is still a concern of mine. Therefore, I wanted to share a couple of drinks that most anyone can enjoy. A nice pre-dinner cocktail or an evening apertif by the fire help round out the holidays. Fortunately, I have done some taste-testing and am here to help. Below are two of my favorite wintery cocktails, perfect for any party or celebration. Without taking a picture of it myself, this is best I can find online. I prefer spiced apple cider rather than just the regular apple cider. It’s more holiday-y. I also like bourbon. So this is a stronger drink, if I am pouring it. 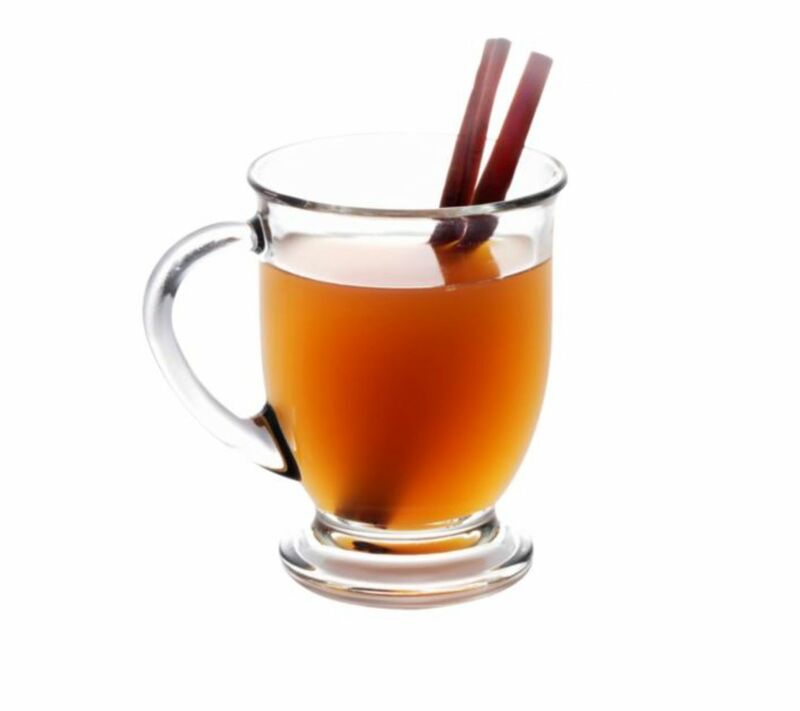 The squeeze of lemon and the hint of cinnamon from the stick give this a nice, jubilant feel. Pour the warm milk (or water) into a mug already filled with the cocoa powder. Then add alcohol. 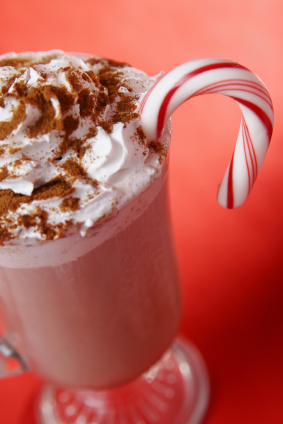 Stir together with the Candy Cane. This is one of those drinks where you don’t feel a buzz, then you have three or four and — BOOM! — you’re drunk. Be careful. Put on some Burl Ives, light that yule log and put your stockinged feet up. Enjoy! These drinks sound good. 🙂 We’re in the same boat. I’ve got a nine-month-old son celebrating his first Christmas. We’re not making the mad dash for the latest toy yet. My wife even brought him with on a shopping trip where she bought stuff for him. We left a bunch of his presents out in plain site, too. Pretty sure it’s the last year we can get away with that. Matt, hopefully you were able to enjoy one of these drinks this Christmas. We also did our Christmas shopping with our baby in the cart!